Compared to May 2015, ID inflation in June 2015 raised 0.11% from 7.15%. Current yearly inflation in June 2015 is 7.26%. 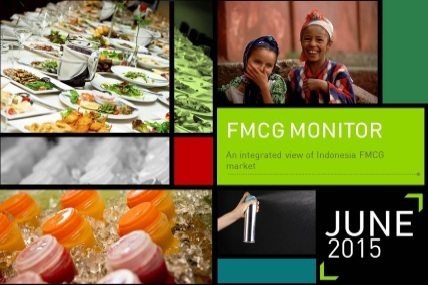 As the Indonesia’s economy slowing down, the FMCG trend also decreased in June 2015,. The decreasing trend happened both in urban and rural area. In decreasing FMCG trends, insecticide still manages to show positive movement in Urban Indonesia, both in volume (in units) bought, penetration, and value growth. Modern trade shows declining growth but mini market comes up as the only channel in modern trade that shows positive growth. Some big FMCG categories experiencing big decreased due to economic slowdown: Growing Up Milk Powder (GUMP), Biscuits, and more.